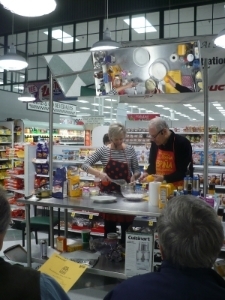 The Caffe Concerto's Cooking Demonstrations at Schnucks are back from summer vacation. The Caffe Concerto's Cooking Demonstrations at Schnucks are back from summer vacation. Join Georganne Syler and Tom Harte Saturday, September 6 at 11:00 a.m. at Schnucks in Cape Girardeau for "What We Cooked On Our Summer Vacation." It's a free event held in the Deli section of Schnucks in Cape Girardeau.